Now we're turning in our Bibles to Philippians chapter 1, Philippians chapter 1 beginning to read at verse 18 where we left off - the last verse we studied last Lord's Day morning. We're beginning at that verse again to get the flow of Paul's thoughts as we leave the passage that we thought about last week that spoke to us of how suffering is the catalyst of the gospel, and how Paul's great joy was in the fact that through his own personal suffering and the sufferings of the Philippians and other believers that the gospel is advanced. So in verse 18 we begin: "What then? Notwithstanding, every way, whether in pretence, or in truth, Christ is preached; and I therein do rejoice, yea, and will rejoice. For I know that this shall turn to my salvation through your prayer, and the supply of the Spirit of Jesus Christ, According to my earnest expectation and my hope, that in nothing I shall be ashamed, but that with all boldness, as always, so now also Christ shall be magnified in my body, whether it be by life, or by death. For to me to live is Christ, and to die is gain. But if I live in the flesh, this is the fruit of my labour: yet what I shall choose I wot not. For I am in a strait betwixt two, having a desire to depart, and to be with Christ; which is far better: Nevertheless to abide in the flesh is more needful for you. And having this confidence, I know that I shall abide and continue with you all for your furtherance and joy of faith; That your rejoicing may be more abundant in Jesus Christ for me by my coming to you again". Last Lord's Day in verses 12 through to 18 we looked at how the suffering of saints, specifically the suffering of the apostle, affected the advance of the gospel of Jesus Christ. We took time to look at how it affected his witness, even in that prison, to the Praetorian Guard. Men, Roman soldiers, were being converted, and they were going back to their barracks and even to the city of Rome and telling others about the great gospel of Christ. The gospel was spreading in a way that we could not have conceived or even planned it to have spread any other way, but that Paul was locked up in this prison cell. We looked at how this suffering for the Gospel advanced the Gospel in the witness and testimony and encouragement it gave to the church of Jesus Christ. Others, within Philippi specifically, were emboldened to go and share the Gospel because of the courage of Paul in doing so even in his bonds. We saw that the gospel was advanced through his sufferings because the enemy was confounded, and even those who were preaching Christ in contention, who had a personality clash with Paul and really were preaching the gospel so that Paul could suffer even more in prison, it was confounded in the fact that Paul had a transcendent joy that just was exalted in the fact that Christ was preached, no matter how He was preached or who preached Him. We saw finally and most fundamentally that Paul's great joy in his suffering was because out of all these things Christ, ultimately, was preached - that was his great joy, that the name of Christ was uplifted and souls were being saved because of it. Well now Paul turns personal, and he begins to talk about how his joy in suffering advances the gospel through the apostle. How it witnesses to his own heart, and how we ought to be joyful in our own personal suffering as servants of Jesus Christ. The title of this morning's message is: 'The Joy of Suffering Service'. He's telling us in these verses that joy in suffering affects all our matters in Christian life, Christian service specifically, and even ought to penetrate and impact upon the fundamental issues of life and death. Now I hope that you know, if you don't I'm going to tell you anyway, that joy is essential to serving the Lord Jesus Christ. Now when I talk about serving the Lord I'm not talking about what we speak of today as 'full-time service', I'm talking about being saved and having a purpose given to us of God. Whatever we do for Christ, and I do trust today that you are doing something for Christ, and specifically doing something for Christ in the local church - the fact is the majority of you aren't, and that's why we're in so much difficulty to get people to do things in this assembly! But even those who are doing things often get discouraged, downhearted, even depressed, and fall by the wayside because they lose the joy of serving the Lord Jesus. It's so important that you have a joy even that transcends the difficulties of serving the Lord Jesus. It was in Nehemiah 8 and verse 10 that we read: 'The joy of the Lord is your strength'. It is the same in serving the Lord, as Nehemiah was serving the Lord building the walls of Jerusalem, we as we are serving the Lord building up lively stones and putting them, hopefully, in the church of Jesus Christ, the joy of the Lord is our strength - and if we lose that joy we will lose strength, and we will fall. It's essential for serving the Lord, because the joy that we have in serving Him is based on the truth of what we believe in, and that truth that we put our joy upon gives us a great hope for a future joy that is yet to be that comes out of serving Christ, serving Him faithfully and eventually standing before the Bema, the judgement seat of Christ, and getting the reward for serving Him. Well, Paul had that joy even in the prison cell, and in verse 19 he testifies of it: 'I know' - I know! It was a certainty to him. Oh, isn't it wonderful to know today that Christianity will triumph! It doesn't matter what the intellectuals and the religionists and the politicians and the kings of this world say, it doesn't matter what the media purports and divulges - an effulgence of filth and dirt into our society that is penetrating, making our society not a moral society, not even an immoral society, but an amoral society - without morals at all! But it doesn't matter, because Paul - even locked in a Roman prison cell - was able to say: 'I know that Christianity will triumph'. That brought the apostle great joy. If you remember last week that in spite of both the weaknesses of the proponents of Christianity, he's locked up in jail - the Philippians were afraid it seems - and in spite of the opposition of its opponents, those preaching Christ in contention, the gospel would triumph! Ultimately it would succeed because we don't keep the church, we don't keep the gospel, it is Christ who builds the church and it is Christ's Spirit that advances the gospel. Oh, that should put iron into your bones right away. If you look at verse 6 that we spent much time on in chapter 1: 'Being confident', again there's his certainty, 'of this very thing, that he which hath begun a good work in you will perform it until the day of Jesus Christ'. He was confident, and it's wonderful to be confident in the sovereignty of a Holy God who has begun a work in us and will continue it, who has begun a work in embryo in the church of Jesus Christ at Pentecost, and will bring that church to triumph in glory. But we must voice some caution: although we believe in the sovereignty of God we find in verse 19 that there was also a responsibility upon men - and I keep saying this, I quote one of the great Scottish reformers when he said that: 'We do not believe in any form of God's sovereignty that nullifies man's responsibility'. God's sovereignty does not make us all into robots. We see this in verse 19, because although in verse 6 Paul had said that God had begun a work, He'd instigated it and He would consummate it when he was standing before God in Christ, perfect in the likeness of Christ, although that is so and we can be sure because of God's sovereignty and God's choice in our lives - Paul was thanking these Philippians that his salvation would come through their prayers and the supply of the Spirit of Jesus Christ. Now that does not mean that we are saved by the prayers of others, far from it - but Paul is saying this: from the moment that God saved him until the moment he stands before God in eternity, he would be, humanly speaking, relying on the prayers of the Philippians believers and also relying on the supply of the Spirit of Jesus Christ to get him there in the end. Do you see the balance? It is Christ's finished work, it is the work of the Holy Spirit in us that will get us to glory, but don't ever negate the responsibility that is on ourselves, and indeed the responsibility of the church where Christ has placed us, to help us along the way to get there. How important is the prayer meeting? It could be as important as you being on the way to glory! I hope you're there - it distresses me that there are some here, and I'm looking at your faces, and you are regularly absent from the prayer meeting - God forgive you! Don't dilute the word 'salvation' in this verse 19, because salvation is not just a thing that happens to you on the night that you were converted, it's a past thing, it happened at Calvary. In fact, you can go further before the foundation of the world when the church was chosen in Christ, and then you go to Calvary where we were saved by the blood of Christ and His redemption, and then you move on to your conversion experience - but it's not just past, its present now. We are being saved and sanctified and turned more and more into the image of Jesus, and there is a salvation yet to come - either when we're raptured and go to be with the Lord in the air, or when we die and our body goes to the grave and on the resurrection morn our bodies come out of the grave and spirit and soul are joined, and the redemption, the salvation of the body which is nearer now than when we first believed. Salvation has three aspects: past, present and future, but what Paul speaks of here is the future aspect - his deliverance one day that God would bring him to. But if God was going to bring him to it, along the way He would help him by the prayer of Christians and the power of the Spirit, that is what would sustain him on the way. How important is the prayer meeting? It could be as important as you being on the way to glory! I hope you're there - it distresses me that there are some here, and I'm looking at your faces, and you are regularly absent from the prayer meeting - God forgive you! Do you realise that the lack of your prayers could be the reason why there are certain folk backslidden? I'm not saying that they aren't responsible, but could your prayers have helped them as it helped Paul while he was in prison to withstand temptation to deny the Lord? He wanted not to be ashamed on that day, and one of the strengthening aspects was the prayers of these believers. Well, it helped him in his goal, and in verse 20 we read that he had an earnest expectation and a hope that in nothing he would be ashamed '...but that with all boldness, as always, so now also Christ shall be magnified in my body'. He was absorbed with an earnest expectation, a goal - now that word 'earnest expectation' in the Greek language it's one word but it has three elements, the first element is the word 'away', the second element is the word 'the head', and the third element is the word 'to watch'. Now you put them altogether and this is the idea that it combines: watching something with the head turned away from all other objects - almost to be distracted, but to be distracted in an ordered way. In other words, he was ignoring everything else in life but this one earnest expectation, that he would get to the judgement seat of Christ and not be ashamed. He's talking about the judgement seat, and he doesn't want to be ashamed when he gets there. You see it preached today at times, you'd think it was some kind of School Prize Giving, where Jesus was going to give you a golden star and give you a pat on the back! I feel condemned in my own heart already. Can I ask you this morning, we're not going to rush through this: are you occupied with one thing in life? And is that one thing how you will stand before Christ on the judgement day? It's not, I'll tell you why it's not: because this church would be on fire. To the exclusion of all other things, Hugh mentioned the verse speaking to the children, and he says and reiterates the sentiment in verse 13 of chapter 3: 'Brethren, I count not myself to have apprehended: but this one thing I do, forgetting those things which are behind, and reaching forth unto those things which are before, I press toward the mark for the prize of the high calling of God in Christ Jesus'. Expending every effort as he runs and speeds toward the finishing tape, and if Paul needed that focus, do we not need that focus today? Do we not need the prayers of the saints? Do we not need the power of the Spirit? Oh, we're saved, and God who has begun a work in us will accomplish it, praise Him - but we are not exempt from the responsibility along the way! It rebukes this attitude of those who just sit in the pew and drink up the sermons week after week after week, and never pray, never have a devotional time with the Lord, never have a walk or a witness! Where are you? God help you on that day. You'll be saved, but Paul says in Corinthians that you will be saved though as by fire - in other words, you will get in by the skin of your teeth. Well, through their prayers and through the Spirit's power there are several things that Paul knew that he would have even in prison. The first thing is this: the joy of not being ashamed of denial. He wanted in nothing that he would be ashamed, but with all boldness that he would always, so as now, Christ be magnified in his body. He's talking about the judgement seat, and he doesn't want to be ashamed when he gets there. You see it preached today at times, you'd think it was some kind of School Prize Giving, where Jesus was going to give you a golden star and give you a pat on the back, and say: 'Well done, thou good and faithful servant, enter into the joy prepared by thy Lord'. You look at Revelation chapter 1, and you look at the fiery penetrating x-ray eyes of Jesus Christ the exalted Son of God, and you tell me that it will be a comfortable experience? John talked of it in his first epistle, chapter 2 verse 28: 'Little children, abide in him; that, when he shall appear, we may have confidence, and not be ashamed before him at his coming'. Paul was concerned that the believers pray for him, that the Spirit's supply would be given to him, because he didn't want on that day to be ashamed of the way he lived. Will you be ashamed on that day of the way that you've lived? He didn't want to be ashamed of the way he had died. He wanted to die as a courageous soldier of Jesus Christ, he didn't want to be ashamed of the way he had suffered. What will be Christ's verdict of me? You know, that terrifies me: so much so that on the computer, several years ago I think it was, I got a big piece of white paper and I printed a little word in the middle of it: 'Bema' - and I stuck it on the wall. That's all that matters. Paul's joy was that he would not be ashamed on that day, but the second thing that is really fundamental to these verses and the crux of them all is the joy of not being afraid of death. The joy of not being afraid of death. Now we heard from our brother Bill Freel not so long ago how important the body is, and everything that he said was absolutely correct. In Romans chapter 12 and verse 1 Paul exhorts us: 'I beseech you therefore, brethren, by the mercies of God, that ye present your bodies a living sacrifice, holy, acceptable unto God, which is your expected worship'. It is expected, it's not a higher Christian life, it is expected of a believer to give the body over to the Saviour, to be a temple of the Holy Spirit - not in the intention to glorify the body, but in the intention that God would be glorified in the body. As one author has said, that the body should become the workshop of the Carpenter of Nazareth. The body is like an earthly frame for the heavenly picture of the life of Jesus in us. Paul could say in another place that we are vessels of clay, that the priceless jewels and treasures of the life of God should be manifest in us. Paul wanted to magnify Christ in his body, and we are told to magnify Christ in our bodies. You know what a microscope is, you go into a scientific lab and you see this instrument that makes little things big - that's not what Christ is talking about through His Spirit in Paul. He's talking more about a telescope, a microscope makes little things big, but a telescope makes things that are really big loom big to you. Things perhaps that are at a distance, like the sun, the moon, or even a star, and they look like a little speck on the distant frame of the sky, but when you look through the telescope it becomes the likeness of what it really is. The Lord Jesus in His Spirit through Paul is telling us: 'I am distant many people's minds, in their sight they just cannot see Me', but if Christ is magnified in your body One who is bigger than the whole universe will loom the size that He really is - Christ magnified in our bodies. That's our job. It is the sentiment of many of the Psalms: 'O magnify the Lord with me, and let us exalt His name together'. Paul is saying: 'Whether in life or whether in death this is my one goal, this is my achievement, to magnify Christ in my body'. He is saying: 'I wish nothing else of myself, nothing'. He's expressing the sentiment of John the Baptist: 'He must increase and I must decrease, I must be eclipsed by God's Sun of Righteousness'. Do you know what happened to Paul's body? Paul's body died to Paul. People talk about the secret of the Christian life - I don't think there's just one secret, there are many secrets and they're all open within the word of God - but one of them is simply this: we have to die to ourselves. Paul's body was not a vehicle for him to live Paul's life through, but he realised that it had become sanctified by the blood of Christ as a vehicle to magnify the life of Christ in his body, whether through life or through death. Oh, do you see the secret to Paul not fearing death? It was the fact that he had nothing to lose - in fact, all that he had in death was to gain! That's the reason why he had joy in not fearing death, his body was already dead to Paul! He wasn't trying to hold unto a life, he wasn't watching the life go through his fingers like water or like sand, and trying to grab hold of it again before it all disappeared. His life already was gone, Paul the apostle was dead to Paul, and that is why he could be killed. You know you can't kill a dead man, can you? He's already dead! He doesn't fear death, and you can't talk about a dead man - you can talk about him, but it doesn't affect him because he's dead to the opinions of other people. You can't offend him because he has no self to be offended. As one man said: 'If you've got no pride, it won't be hurt'. That I am bound by pain or grief. Erect no barriers in my way. To do His work this day'. His joy was that he could not be killed because he was already dead! But there are three other aspects to Paul's view of death that I want to share with you just as we close our meeting today. His joy in not being afraid of death is found in verse 20, because Christ is exalted in death as well as in life. The second part: '[so that] Christ shall be magnified in my body, whether it be by life, or by death'. You know, Paul was exalting Christ in his life - I think you all would agree with me there - but you know, never forget that the words that we read are the words of a Christian martyr. James the apostle is the only apostle that we read of as a martyr, and how he died as a martyr. We know from tradition, at least we believe from tradition, that all the apostles were martyred. Tradition tells us that James the brother of John was slain by Herod's sword; it tells us that Philip crucified in Hierapolis in Phrygia; James the Lest was clubbed to death in Jerusalem; we read of Andrew that he was crucified at a place called Odessa; we read of Thomas that he was thrust through with a spear in India. Tradition tells us that Simon the Zealot was crucified; Thaddeus was crucified at Odessa again; Bartholomew was beaten and crucified in India; Peter the apostle was crucified in Rome - and tradition tells us that he was crucified, by request, upside-down because he felt that he was unworthy to die in the same way as his Lord. John, exiled to Patmos, from whom we have the book of the Revelation, it's believed that he was horribly martyred by being cast into a pot of boiling oil. Matthew was beheaded in Ethiopia, Paul beheaded in Rome - all of them dying for Christ, why? Because they couldn't be killed, they were dead already! Then I shall be free. He had joy in not fearing death because Christ was exalted in his death as well as in his life, but secondly in verse 21: because life means opportunities, but death means gain. Life means opportunities, but death means gain: 'For me to live is Christ, and to die is gain'. If Paul lived he knew that his ministry and his mission would be fruitful, and that fruit would go to his reward in eternity. If he lived on he would use all the opportunities he had, but do you know what I find here, a principle: that life for Paul was labour, and death for Paul was rest. Life was labour, and eternity was rest. Listen now: there was no retirement for Paul the apostle! There was no sitting about waiting for God: to live was to labour. That's why he told the Corinthians: 'Be ye steadfast, unmovable, always abounding in the work of the Lord; forasmuch as ye know that your labour is not in vain in the Lord'. Now in Rome death was the king of terrors, under the Jewish law death was seen as the penalty for transgressing the law, the judgement of God. But as Paul looks at death he doesn't see it as a terror, he doesn't see it as a penalty of the law, but he sees himself not entering into Abraham's bosom like the Old Testament saints, but entering directly into the actual presence of Jesus Christ to be with Christ, his body awaiting resurrection! Is that the way you think of death? Do you think of death as gain? That's what it is, I know it's hard to think of it that way, but Paul says that it's the final consummation of the whole progression of sanctification that was begun in your salvation. In life Paul was totally consecrated to Christ, and in death he expects to totally possess Christ. If I can read a paraphrase of that verse: 'Life means Christ to me, as I more fully know and love and serve Him day by day; death means Christ to me, when I shall finally possess and eternally enjoy Him'. Death for him was certainty, it wasn't uncertainty. It was a conscious existence, not an unconscious oblivion. It was to be with Christ, not to just be in a grave. It was very much far better, not a dreadful or a tragic thing. It was a part of life, not a conclusion or a finish of life. It was a beginning, not an ending. It was a commencement, not a ceasing - it was life on a grander scale! He could joy not fearing death because Christ is exalted in death as well as in life, because life means opportunities but death is gain - and can I say to you that this gave Paul the apostle a terrible dilemma, a terrible dilemma. Do you know it gives you a terrible dilemma too? What was his dilemma? His dilemma was this: what will I choose? If life is good because it's Christ, and if death is gain because I'm with Christ, which will I choose? Which would you choose? Paul says: 'I am hard pressed between the two' - would you be hard pressed between the two? I think not! If I was to ask you this morning: which is the selfish answer, to die or to live? Which is the selfish one? You would probably say: 'Well, to live is the selfish one, isn't that right?'. To live and to keep your life, to not go to be with Christ, to not go to your reward - do you know what Paul says? 'No! The selfish one for me is to die. The selfish one is to go to be with Christ, because I'm needed down here, and I know that when I get up there it will be joy, it will be reward, it will be peace in the presence of Christ!'. Can I say that that, if anything, rebukes an attitude that sometimes we have toward the second coming of the Lord Jesus: the endtimes, the Lord's coming soon, all these things are coming on the stage of prophecy, and we sit idle and let people go to hell because Jesus is near! I believe He's near, I believe prophecy, but sometimes the privilege of dabbling in our prophetic crystal ball is taken from us because of the awesome responsibility that there is now! It is more needful that I abide in the flesh! There is much, Paul says, that needs to be done, and he was willing to forget all his own enjoyment in heaven for what was necessary. But he says, he confesses: 'My real desire is to depart'. 'It's a difficult choice', he's saying, 'I want, really, to depart, but it's more necessary for me to stay'. We in the West still see death as a terror, don't we? Society's highest goal is to prolong life, the postponement of death for as long as is medically and physically possible. We're obsessed with physical life as it is in our bodies, the church is obsessed with the here and now, with materials and with comfort - and our comfort in this life is in life, in living! But Paul's comfort was in dying. Our pain is in death, but Paul's pain was in living. Almost every principle in these verses, and we haven't finished them and neither are we going to this morning, but almost every one of them challenges the Western perception of the Christian life. People today are becoming more individualistic, Paul was saying here: 'You need to depend upon one another's prayers, and depend upon the Spirit of the Lord Jesus Christ'. He challenges our complacency because we are saved and we're on our way to glory, eternal security that denies the perseverance that we need, as he will say later, to make our calling and our election sure! It challenges our comfort! He tells us: 'Comfort is never a priority in the Christian pilgrimage!'. He challenges the theme of our prayers, listen to them: 'Lord, heal so-and-so; Lord, dull their pain; Lord, give them money; Lord, give them food'. I don't say that those prayers are wrong, but often they are from selfish motivation because we know that we don't want to feel pain, we know that we don't want to hunger, we don't want to be naked, we don't want to die - but Paul could say: 'It is very much far better'. We must leave it there, but can I ask you: if God whispered into your ear now, which is it for you? To live, or to die? Which would it be? Let us pray, you know what perhaps one of the greatest fears that I have is? Not being poor now, not being unknown now, not being a failure now; but being poor, a failure, and unknown at the judgement seat. Oh, I know His grace will cover it all, no doubt about it, but I want to give to Him as much as I can - and now is the time! Friends, some of you haven't got long - I say it lovingly, compassionately from my heart - some of you are wasting away your lives and you couldn't care less! Paul says forget the past, redeem the time, and with what is left press on. Father, our power is faint and low till we have learned to serve, we want the needed fire to glow, we want the breeze to nerve; it cannot drive the world until itself be driven, its flag can only be unfurled when Thou shalt breathe from heaven. Breathe upon us, Lord, and help us to present our bodies today, our body, soul and spirit to Thee as a sacrifice. Lord, let us be fools for Christ today, that we will not be fools in eternity. Amen. 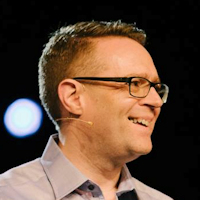 Don't miss Part 7 of 'Philippians': "The Joy Of Suffering Service Part 2"
This sermon was delivered at The Iron Hall Assembly in Belfast, Northern Ireland, by Pastor David Legge. It was transcribed from the sixth tape in his Philippians series, titled "The Joy of Suffering Service" - Transcribed by Andrew Watkins, Preach The Word.